We manufacture new guitars that look old. Our guitars exist as a tool to reflect your individuality. We age our very artful looking guitars knowing that you will bond with the instrument and introduce your fingerprint to its cosmetic appeal. After you add a couple more scratches and dings, a few more hours of playwear to the already relic'd fretboard, and plop four or five more stickers to the back of the body it will be Your Signature Model. 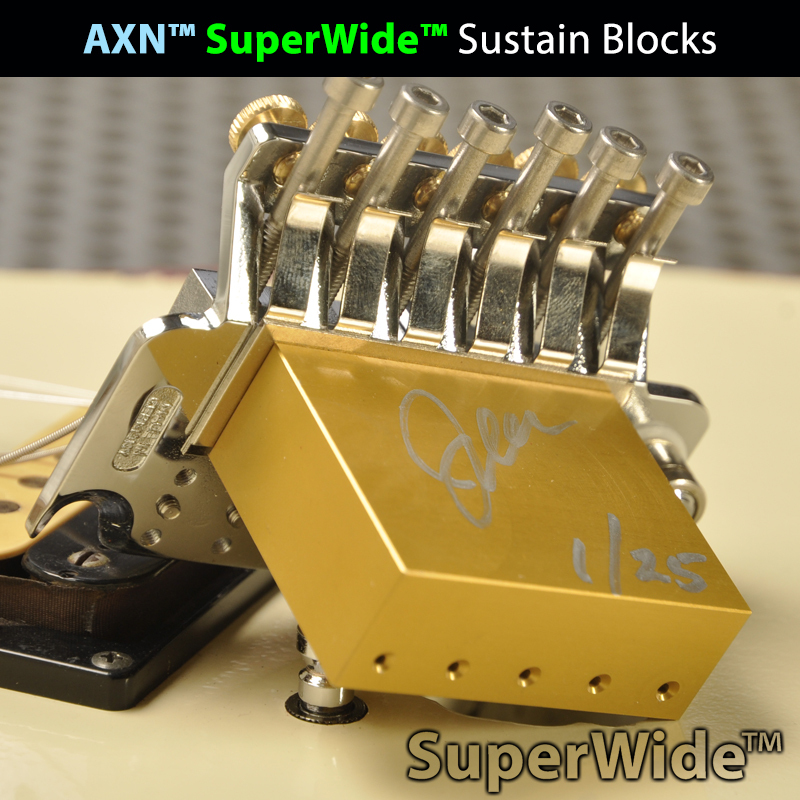 For that reason each AXN™ Guitar is hand made and unique. We manufacture new guitars that look old. Indistinguishable from that guitar you’ve always regarded as significant. We've created you this AXN™ Guitar and manipulated every detail to 100% certainty. We deliver the guitar you’ve always wanted. A guitar with the identical neck shape - fast, smooth and unique. Distilled from a blueprint of that one enviable 1980s instrument. We deliver a guitar abundant in many details overlooked and forgotten by time. Over decades and with white-glove reverence we measured every dimension. Every angle calculated and compared to what was. We are the only luthiers acquainted with the true specifications. Armed with this data our AXN™ Guitars have a level of accuracy and inspirational quality that is far beyond the standard. Each AXN™ Guitar is a work of art! You and your AXN™ are a perfect match for each other with every day spent together bringing you ever so much closer. Loaded with character and individuality your AXN™ will appear as if its served you well on stage for decades, and for that matter it could have. 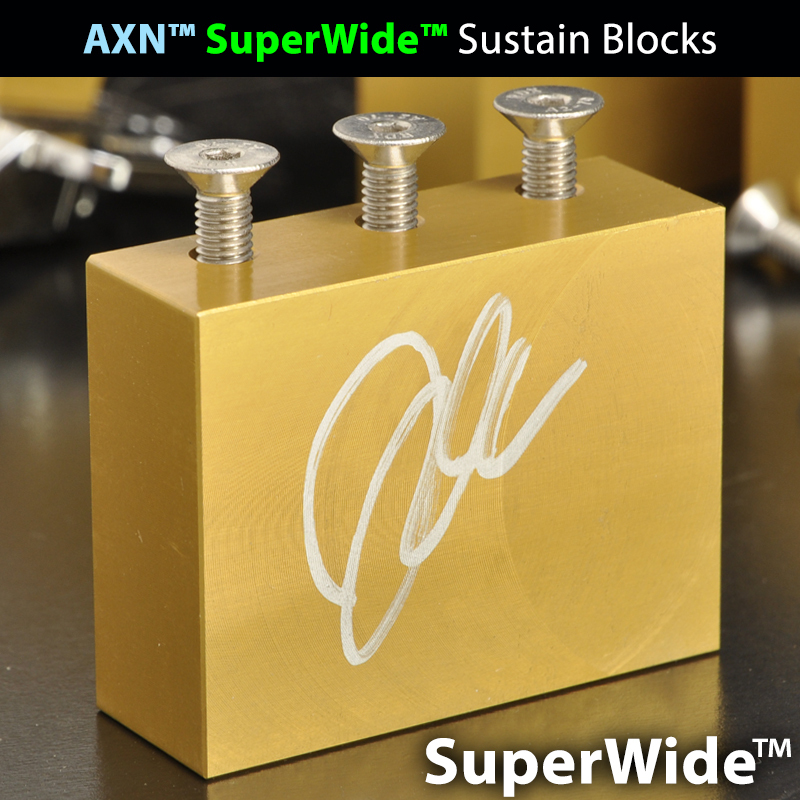 We make guitars that do one thing ... ROCK.. and every AXN™ does this extraordinarily well. 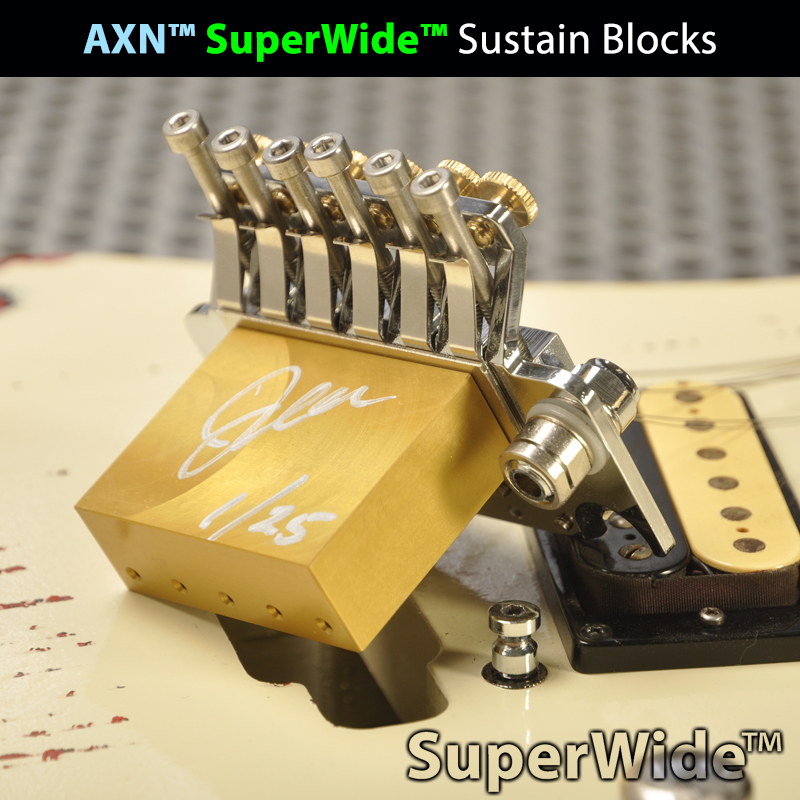 An AXN™ is manufactured by hand in the USA one guitar at a time. With our own eyes we pick choice raw exotic woods from local suppliers from which to manufacture our guitars. Take a minute to compare. You will easily differentiate an AXN™ from the others. From initial design, research and development to final hardware and appointments, we are artists who take pride in every precise detail. We utilize old-school methods to manufacture premium guitars ourselves without using CNC machines. Express your individuality. Get an AXN™. We know you grab first for the guitar with which you truly connect. A guitar that defines your identity as a player and ignites a renewed feeling of excitement. Introduce your fingerprint to your new AXN™. It will become an extension of yourself... Your Signature Model. 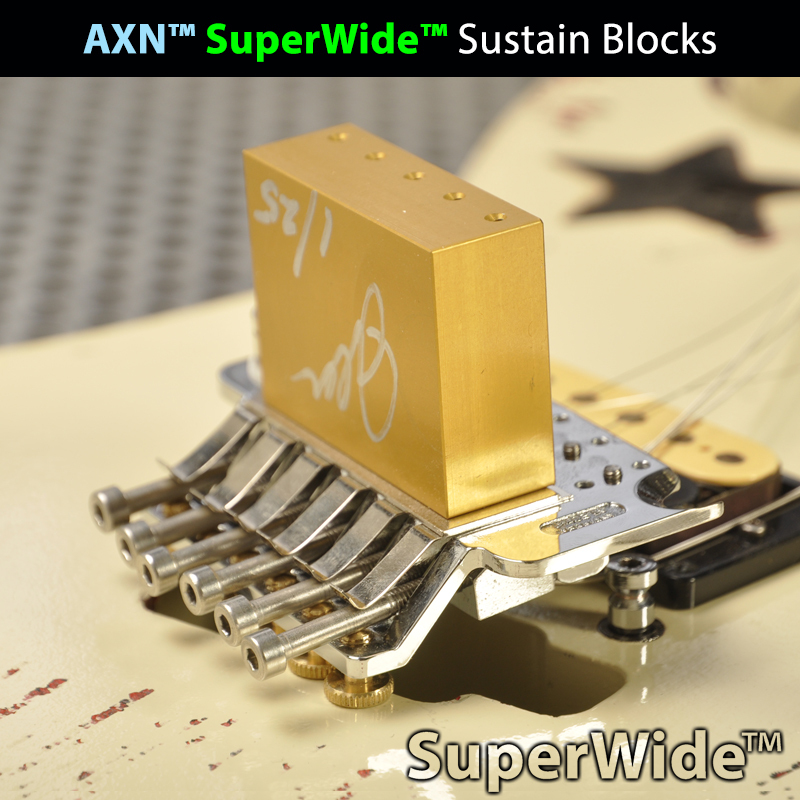 This AXN™ will become your number one go-to guitar... Because you rock!